I've been trying to get the 'output' of a Texture Tag in a similar way to how the Shader Effector and the Displacer Deformer does. 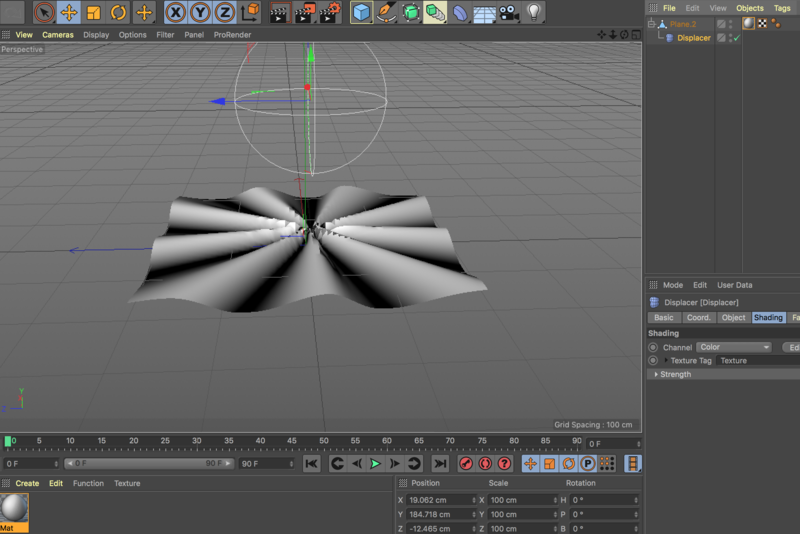 Using the Displacer Deformer to explain what I mean. If the "Channel" parameter is set to "Color" instead of "Custom" I now feed the "Texture Tag" field a texture tag. The Displacer now using all the information from that texture tag to do its calculations, such as the shaders, the projection, and the PSR. The Displacer is referencing the Texture Tag to calculate a greyscale value at a given position for each polygon point. Instead of using the Displacer though, I would want to be able to use in my own points with the Texture Tag and retrieve the greyscale value of those custom locations. I'm not really sure where to start exploring this, I was looking at some things like ChannelData and VolumeData, but that didn't seem to be what I needed. Any help to point me in the right direction would be greatly appreciated! Hi d_schmidt and thanks for reaching us. With regard to your request, what you actually need to do is to "sample" a BaseShader used somewhere in the material referred by the TextureTag. The topic is indeed not too complex but requires some reading in order to get comfortable and proficient with the means provided in the API before dipping toes in sampling shaders. I also point you to this thread where sampling the color at meshes vertexes is shown using a Python script. Maybe it will simply help you to glue together the information got by reading the reference above. Sorry about the late response but I had to start working on something else for a few days. I went through all of your recommended links and the thread and I think I'm getting a better idea of how the Material, Texture Tag, and the UVWs interact and I'm able to get the shader color at UVW points of my choice. I had a follow up question of how this process would work while using a different type of projection Spherical, Cylindrical, Cubic for example. The way I currently understand it is that the texture tag's matrix would be used to determine this, but I'm not sure how the matrix should come into play. It's possible I missed something in the links you provided but I would appreciate another push in the correct direction. Hi Dan, thanks for following up here. To be more clear image you need you've a plane placed on the origin and laying on XZ. 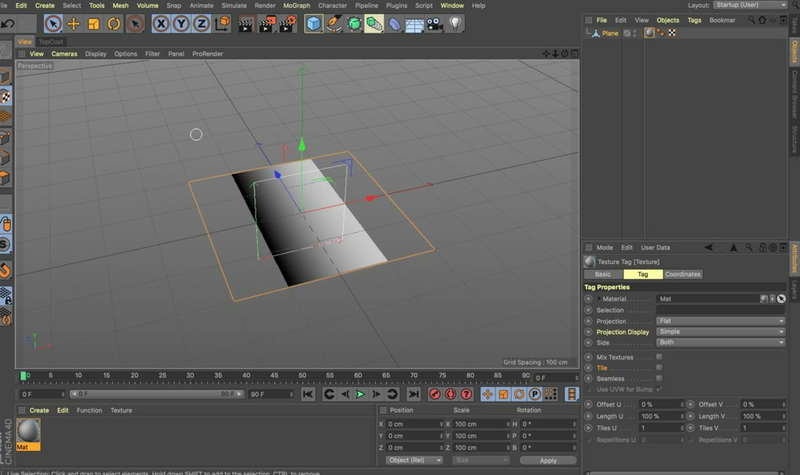 You need to create a flat mapping on it rotated by 45 degrees on w, stretched by 0.5 on u and 2.0 on v and shifted from the origin of a certain amount. Assuming you also have a material existing in the Material Manager running the script below will execute the task. Thank you for all of the help! Just to make sure I'm on the same page as you I ran your code with a Checkerboard shader and got this as a result. I've been doing some tests but I'm not getting the results I was looking for with this code. The idea is using the UVW tag created by your code on a 1 polygon plane. Then using 'a' and 'c' I'm trying to browse the entire polygon, sampling it in a ten by ten grid. The results aren't what I expected though. 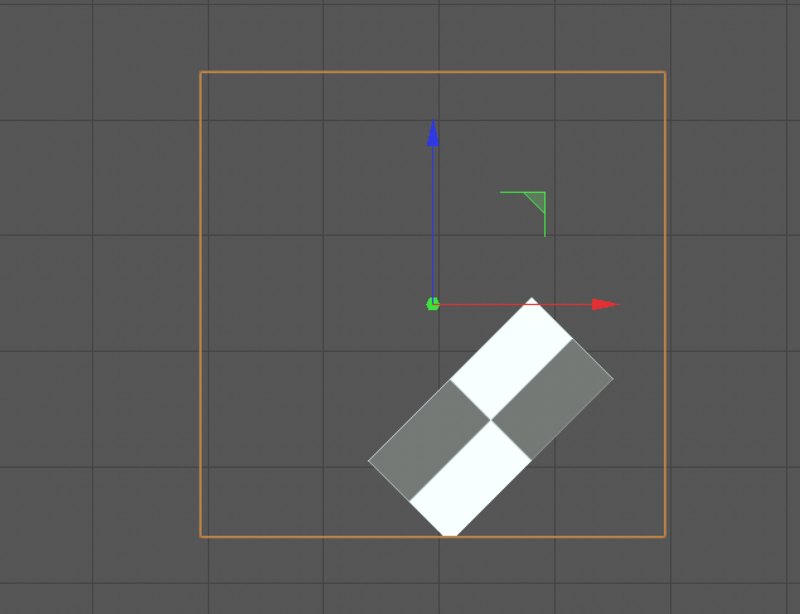 I'm returning the location and the color, and I would think I would get getting some sort of 'empty' value where the shader isn't drawing, but it's always returning the color vector of the checkerboard. Do I need to be sampling the texture instead of the shader? Or am I doing something else wrong? Hi Dan, thanks for following up. beware of properly specifying the ChannelData::texflag and specify the correct TEX flag. Last but not least, in Python you can only sample shaders being the BaseShader::Sample available. On C++ instead it's also possible sample BaseChannels via BaseChannel::Sample. Thanks again, Riccardo. I really appreciate all of the help. I noticed the sampling coordinate issue right before I checked back here, sorry about such a simple mistake. If I had to redo the code in C++ that would be totally fine. BaseChannel::Sample would work to give me the end output once I pass it the correct UVW coordinate, right? Would there be a better way to get what the UVW coordinate would be at a given point in C++? I'm not seeing a simple way to pass the Texture Tag and there for the projection type to it. This seems like it's possibly pretty simply but I'm not properly understanding it. I want to clarify that I'm looking to accomplish something similar to how the displacer object in this example is able to use the linked texture tag(set to spherical projection, and using any movements of the texture) to correctly displace the plane. I want to be able to get the same data that I assume the Displacer is getting access to so that I can create my own custom outputs. Hi Dan, thanks for providing further details on it and sorry for coming late here. Actually I spent some time to run some test and, in the end, I confirm that what you're looking for can be delivered also on Python if sampling shader is sufficient. In my tests, I also found that BaseChannel::Sample() has the same behavior or BaseShader::Sample() and both are "somehow" actually agnostic to tiling. For all the points hitting the mapping with the shader, the color is returned, whilst for the remaining points (-1, -1, -1) is returned. the approach I depicted is just one of the many viable and shouldn't be deemed as "the" approach. I'm simply returning True to avoid checking for the passed uvw being in the "1st" tile. But, again, feel free to experiment and if you find a better approach just share your code for the sake of our community growth. Hi Dan, thanks for following up and sorry for coming late here. For the sake of completeness, please find also attached to the test scene used to verify the code . Hoping this helps you to further aim in the desired direction, give best. I think it's a bug in how the Layer shader in your scene is sampled. Here I've just debugged the values returned by the code responsible for generating UV values and I found that the values were missing a +0.5 shift.